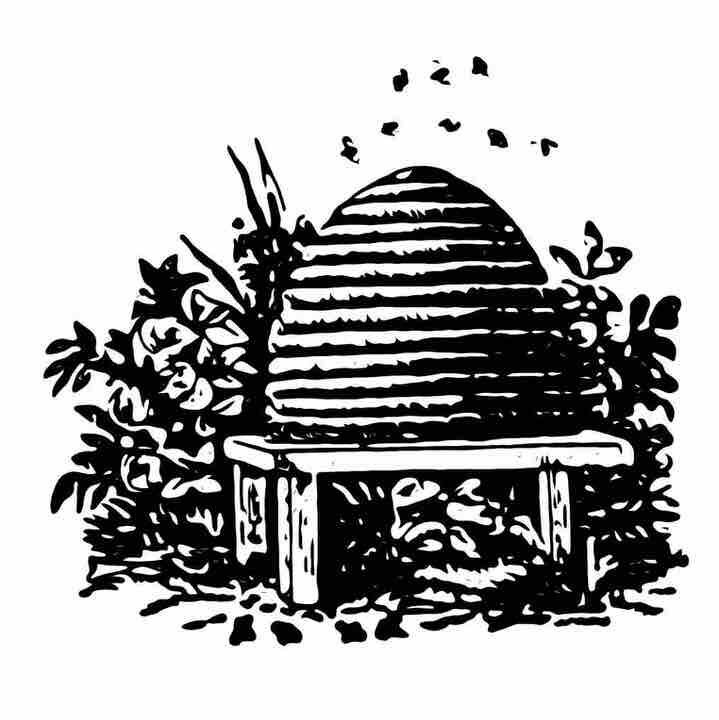 In fact, beekeeping is one of the earliest markers of civilized society – bees provided many of the necessities of advancement, providing not only food, but wax for metalworking, cosmetics, and medicines, as well as the ever-important pollination of fruit trees and other food crops. The cultivation of honey was a sacred charge often imbued with ritual symbolism and associated with the mother goddess, whose nurturing protection of mankind was symbolized by the abundance of honey provided to bee society under the reign of the queen bee. As it was widely believed that bees were born spontaneously, they were widely viewed as symbols of chastity and purity. The Bee’s never-flagging labors made them an emblem of hard work, industriousness, teamwork, perseverance, charity, selflessness, and constancy. These virtues are recalled in many heraldic emblems and personal seals, as well as in the emblems of Freemasonry, the Church of Latter-Day Saints, and in countless trademarks. Observances of the annual hibernation of the hives also resulted in the belief that bees died and were reborn annually, and this, along with their coloring, made them a natural solar symbol- and later, an emblem of Christ in to Christian believers. Greek followers of the goddess Demeter believed her priestesses would be reincarnated as bees; the priestesses of the Ephesian Diana were called melissae- bees.